I initially hadn’t planned on putting together a list of recommended books for the “free choice” square of the Lesbian Book Bingo—after all, you’re completely free to pick whatever book you want for this square, as long as it has a female main character who’s attracted to women. But I’ve been asked for a little guidance by several readers who can’t make up their mind or want to be pointed toward books that aren’t on their radar so far, so I decided to put together a list of recommended reads for this square after all. It’s not as if there could ever be too many recommended books, right? Here’s how I picked the books on this list: I asked readers on Twitter and in several groups on Facebook to name their favorite lesbian fiction book(s). The books that got the most mentions made it on this list. Since we had several draws, I finally decided to have 20, not just 15 books. Initially, I wanted to take out all the books that already made it onto the reading lists for other squares, but that was half the list, so I just went by the number of mentions. Lucy is haunted by the death of her partner, Jake. She lives in a small, introverted village in Cornwall called Pennance, and is surrounded by Jake’s family and memories of him. She feels intensely guilty about his death and thinks someone is out to get her in retribution. Relief appears to come when a new neighbour, Karen, enters her life, but is that when the real threat begins? Three years after Courtney McAllister loses her partner in a car accident, she’s finally trying to move forward. She’s even dated halfheartedly over the past year, but no one is able to penetrate her emotional barricades until she meets aggressive real estate broker Rachel Hart. When Margaret Beringer’s first love Courtney Carrington returns to their small town, she must grapple with their troubled past and fight the temptation for a very delicious future. 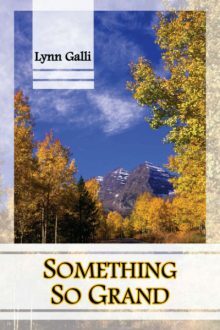 Meet lesbian travel agent turned reluctant detective, Stoner McTavish and her friends, on their first adventure to Grand Teton National Park, where she falls in love with her dream lover, Gwen, whom she must rescue from almost certain death. The intimacy of a cabin at Lake Tahoe provides the combustible circumstances that bring Diana Holland and Lane Christianson together in this passionate novel of first discovery. As a designer for the wealthy, Vivian Yeats doesn’t have a lot of time for a relationship. Despite being her favorite subject in books and on screen, romance constantly eludes her. For Natalie Harper, romance has never been on her radar. She prefers working hard at her construction job. When they meet, both are knocked off that focused path. Wildlife biologist Dr. Carly Cambridge returns to the Texas Gulf Coast to manage the latest Habitats for Nature project. Having sworn off women and relationships, Carly is perfectly content to live her life alone. But then wildlife photographer Pat Ryan is duped into volunteering her talents to the cause. “Luke” Hamilton accepted that she would spend her life alone when she chose to live her life disguised as a man. 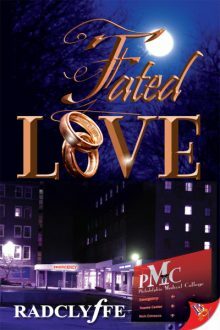 After working in a brothel for three years, Nora Macauley no longer hopes for a man who will sweep her off her feet and take her away to begin a new, respectable life. 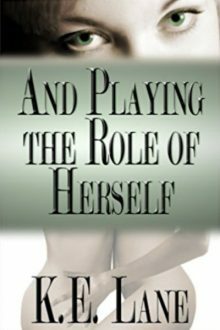 CJ Roshe is a successful businesswoman with a dark past, so she never makes any connections that go deeper than one night, but when she meets kind-hearted Karita, she starts wishing for something more. Karita has always lived for today while she waits for tomorrow to happen. One kiss couldn’t change all that–unless it’s the kiss that counted. 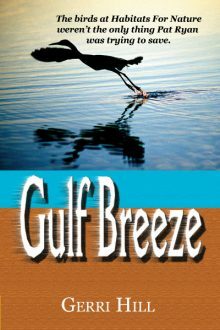 When the law firm she works for sends Nikka to the Springs, home of lesbian author Beth Walker, she is determined to prove herself to her boss, Lea. But nothing is as it seems. Beth is hiding her past with a film star. Lea may be keeping Beth prisoner in her own home. The only person who knows the truth is adorably impulsive Maggie. 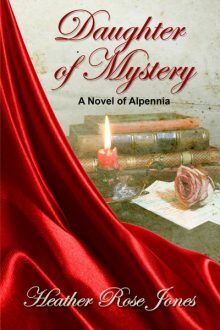 Will Nikka dare look into the mystery—and into her own heart? Actress Caidence Harris is living her dreams after landing a leading role among the star-studded, veteran cast of 9th Precinct, a hot new police drama. When she meets her beautiful co-star Robyn, Caid is instantly infatuated but settles for friendship, positive that Robyn is both unavailable and uninterested. Soon Caid sees that all is not as it appears, but can she take a chance and risk her heart when the outcome is so uncertain? For Torrin Ivanov, life is a bargaining table. Every planet is a new business opportunity. Legality is optional and supplying one side in a local civil war always adds up to profit. Jak Stowell is at war within a war. A woman hidden in the heart of a male-only army, her brother’s murder has left her desperate for vengeance. These two women on a collision course set off a chain reaction of intergalactic intrigue—and awaken a dangerous passion that could cost them their lives. Dr. Kylie Mackenzie’s happily gay, Blair Spencer’s happily straight. Their friendship is so intense friends and family start to question whether they’re setting themselves up for heartache. The question is whether each woman can change her view of both herself and her needs. The answer is All That Matters. Can you fall in love in 13 hours? It’s her birthday but lonely workaholic Dana Watts is at the office late, drafting a proposal. The very last interruption she expects comes in the form of the most beautiful breasts she has ever seen. These belong to an incredibly hot woman, who is standing in front of her, stripping to music. For Irish-Indian lesbian activist, JAYA DILLON, an outsider who craves belonging over all else, survival depends on hiding the truth of who she is and who she loves – from herself. She discovers a manuscript, written by an Indian woman, Lana, who disappeared in worrying circumstances. Jaya is drawn into a fictional world that may be truer than reality. Derby Cain Casey was groomed from birth to take the reins of the Casey family enterprises, which just happens to be one of the major crime organizations in New Orleans. Cain is as careful with her heart as she is with her business—until she met Emma Verde. The farm girl from Wisconsin puts a hit out on Cain’s heart and leads her down a dangerous road filled with great joy and devastating sorrow. If you haven’t done so already, download your bingo card, pick the book you want to read for the “free choice” square, and start reading! Remember that you can either read one of the 20 books listed above or pick another book with a female main character who’s attracted to women. Anyone can enter. To be entered into the drawing, leave a comment on this blog and either name your favorite lesbian fiction novel or let us know which book you’re going to read for the “free choice” square. Entries close on Thursday, June 7, 2018, 10 a.m. CET, when I’ll draw the winners using a random numbers generator. I’ll notify winners via email. Your email address won’t be used for any other purpose. Important notice to make sure you don’t miss any of the Lesbian Book Bingo posts! The data protection laws have changed on May 25, so I’m asking you to re-subscribe to my blog (even if you had already subscribed before May) if you want to get each new book bingo post sent to your in-box. I’ve got and read most of those, but I would love to do a Gerri Hill or Karen Kallmaker reread. That is a great, albeit short list. It’d be quite fitting for an intro to lesfic list. I quite agree with those on it. Just wish the list was like 100 long (it needs to be) lol. Have you seen the 100 Best Lesbian Books list that The Lesbian Review put together? That is a list of 100 great lesbian novels. 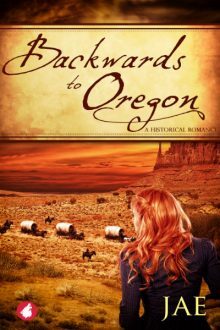 I think I’m going to go with Backwards to Oregon since I love your books so much. For the free choice square, I try to read a book that does not fit any category. For my current card I read When the Stars Sang by Caren Werlinger. 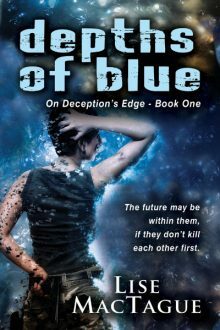 I am currently reading Depths of Blue for the Sci Fi square. When the Stars Sang would also fit the summer reads category since it’s set during the summer months, right? My favourite lesbian fiction novel is Annie on my Mind by Nancy Garden. I’ve already read it numerous times, though, so I’m glad to have some more options for the free choice square! I am leaning towards Curious Wine or Backwards to Oregon, mostly because I already have access to Curious Wine (yay libraries!) and I’ve been wanting to read Backwards to Oregon for a while. Excellent suggestions! 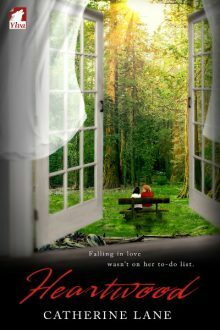 I used Embracing the Dawn by Jeannie Levig as my free square. I do not wish to enter the contest with this comment because I already own the three books that are up for prizes. All three are amazing. Of the books I’ve read on this I’ve loved most and they are among my faves! Looking forward to trying the others!! I’ve started Stoner McTarvis a while ago, have to finish it when I’m on vacation. And I’m very interested in Catherine Lane’s book. But my ♥ is with Requiem and Luke. Two of my favorite books ever. 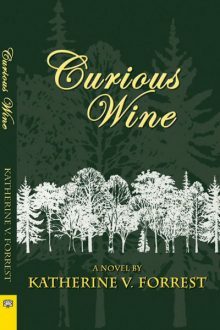 My suggestion is on your list, Curious Wine by Katherine Forrest. I haven’t read a number of these since I tend towards sci-fi and speculative fiction than straight romance (no pun intended). Though I will read anything if it is good! What a wonderful list! Thank you for posting all these great suggestions. I have A Melody of Light by ML Rice for my free square. I saw some of those posts. You had a heck of a task…and you managed it well. Great list Jae! I think my favorite lesbian book would be Passion’s Bright Fury by Radclyffe. It’s magical and amazing! That’s one of my favorites from Radclyffe too! I read 5 of the books on the list, the Stoner McTavish series and the “On Deceptions Edge” series. Both excellent. I think I will read the new “Wings ” book by Lesley Davis for a free square. Keep up the excellent work Jae! I have read most of Georgia Beers, but somehow missed Mine. I look forward to reading it. Great list Jae. Have read about half of these. Haven’t read the Stoner McTavish series so that just might be the book I read next. 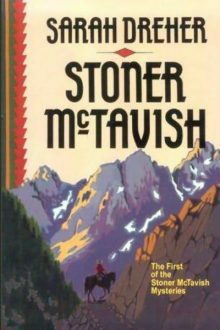 The Stoner McTavish series were among the first lesbian books I ever read. I still remember them fondly. 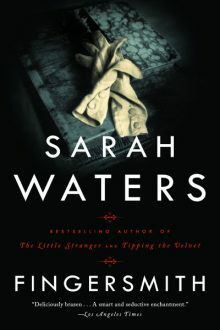 I have Tipping the Velvet by Sarah Waters as my free square. Really good list! I look forward to trying some of these books. Like I need more reasons to re- read ” Fated Love” and “Something So Grand”!! Love this list. The choise is hard to make. I start with “the Devil inside” and continue reading untill this grest list is done. I suggest reading the Ali Vali book. The Devil Inside is really good as well as the rest of the series. It’s one of my favorite lesbian series. Oooh, so many I haven’t read! 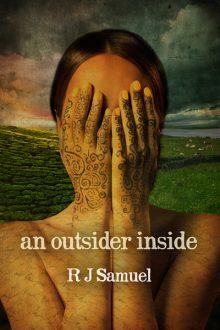 I hope readers give An Outsider Inside a chance, because the ending is sooo worth it. Great list, some of my all time favourites. I will read Pennance by Clare Ashton. I’ve read most of the novels on the list … and will be checking out the others! I’ve been wanting to check out Lise MacTague since I saw her at ClexaCon. I just finished Heather’s Daughters Of Mystery (though I think it fits a few squares) and in looking forward to the second book in the series. Ooo, I’d like to win Heartwood. I have the other two. There’s some great books on this list. Love this! Great list, several are on my to read list. I think Inwill read Pennance. I’m gonna read Mine by Georgia Beers. Thank you for the recommendations! I read “Once Upon A Princess” by Claire Lydon & Harper Bliss for this square. A highly enjoyable quick read that I finished in one sitting. Snagged “Above All, Honor” from my local library, so I will tackle that one next. Know I’m going to get a really good read because it’s Radclyffe. And I just put “All That Matters” by Susan X. Meagher on my Kindle. Heard so many good things about this novel—like Susan X. Meagher can write like nobody’s business—and it’s over 500 pages; I prefer longer reads so I’m in seventh heaven. Excited to finally get my eyes on this one! 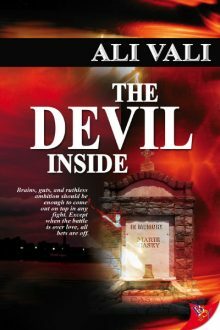 Highly recommend Ali Vali’s “The Devil Inside.” Casey Cain is swoon worthy with a swagger over 9,000 (Yes, that’s a Dragon Ball Z reference. Yes, I’m a nerd.) Great crime saga drama with superb characters work. I’ve read most on this list, but I listened to a podcast recently raving about the Stoner McTavish books, so I think that will be mu choice! I already put Dangerous Waters by Radclyffe in this box, since I read it and it didn’t seem to fit any of my open categories. A favorite is Beach Town by Ann Roberts. Interesting list, to say the least. I have some catching up to do. Favourite book of all times (so far) must be Memory Board by Jane Rule. The love just bounces of the pages. Happy reading and happy weekend everyone! I love this game. It is making me read books that I haven’t thought about reading. I just finished Christabel and I was going to put that in my free space but it fit better in the Fantasy field. So, I decided to reread Curious Wine because I haven’t read that one in years. It was actually the second lesbian fiction book I read and further cemented that I love reading books with LGBTQIA+ characters. Great list! Lots of my favs are on it! I’m not sure what I’ll put in that box. Honestly my life has been so very crazy that I had pretty much forgotten about this until now. I’ve read plenty of books, I just need to plug them into the card and send it in or see if I filled all the squares. But I would love to win Backwards to Oregon. It’s still on my wishlist. I know that’s crazy but when you’re income is very limited…you aren’t able to buy as many new books as you would like! So back to the square, I’m thinking I might reread Stoner McTavish. That series is good and I haven’t read them in awhile. Oh, and though it doesn’t say it…Meghan O’Brien’s 13 Hours is some really great erotica, like most of the rest of her books. (She has one sci-fi and I believe the rest are erotica and she’s one of the best at it…IMHO)! 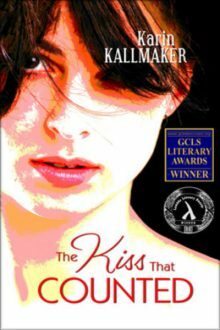 But Playing the Role of Herself was one of the first lesfic books I ever read and it’s also one of my favorites. Nice list! 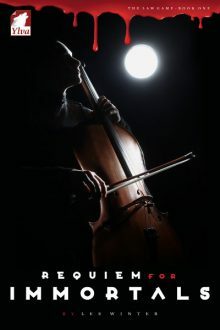 I think I’ll read Requiem For Immortals- it sounds intriguing! Trying to figure why I didn’t receive this in my gmail… I’m sure I renewed the subscription ?!?!? I think my fav lesfic at the moment is Lucky7 by Rae D Magdon. The amazing diversity in that book is epic! I’m thinking Stoner McTavish or Heartwood. Both are new to me. Great list with a a good choice of books. I read a few of them so looking forward to read the rest. For my bingo square I read Reverie by Eliza Andrews. I wanted to read the book and decided it should go to the free square. It was well worth that place.